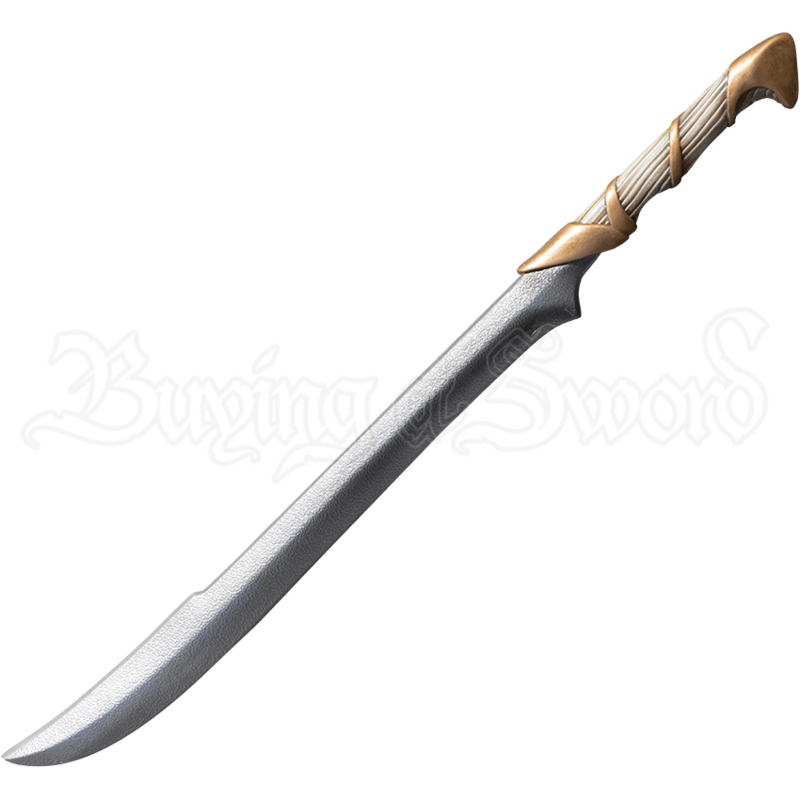 Ideal for forest dwelling warriors, the Elven Hunter LARP Blade is an elegant and sleek LARP sword inspired by legacies of high fantasy. This Stronghold LARP weapon has a lightweight, latex free construction safe for tough combat. 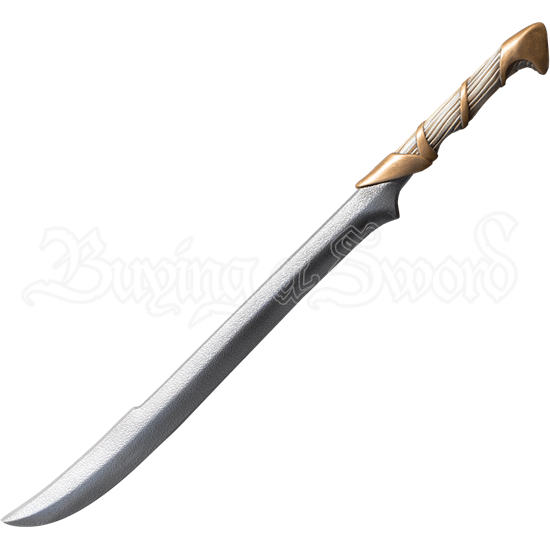 The silver tone blade of this elvish weapon has a curved shape designed for slicing action. Golden tones and simulated ashwood woodgrain create the gorgeous hilt, created through artistic sculpting and hand painting on its cast polyurethane construction. Defeat your foes with deadly grace when you wield the Elven Hunter LARP Blade, an ideal weapon for fantasy live action roleplay.